I am not sure which came first, Desmond Fennell’s letter to The Irish Times in January 1969, or the ‘Teach Furbo incident’. But both events were triggers which fired the first shots in the re-awakening of the Irish language; and which brought some remarkable results, especially to south and west Connemara. Fennell, an Irish writer, cultural philosopher and linguist, had left the comforts of Dublin, to settle in wind-blown Maoinis, a small island connected by a bridge to the mainland, near Cárna. He came with his wife, the late Mary Troy, and three young children. It cannot have been easy or comfortable. But within a year they bought a half-acre site in the Meall Rua quarter, Jackie Dowd built them a house, and Mary had a job teaching in the nearby nuns’ secondary school. About the same time there was the ‘Teach Furbo incident’. The comfortable Connemara Coast Hotel now graces the spot where in the sixties and seventies, Teach Furbo held rousing concerts of foot-tappin’ Irish music (many of them ‘rebel songs’ ) in a large hall where the porter could not be served fast enough. One evening a beautiful film was shown about life in Iarchonnacht. A group of local upstarts, including the poet Joe O Neachtain, infiltrated the invited audience, and disrupted the whole proceedings. They shouted and waved banners protesting against the lack of programmes in Irish on RTE. They expressed their disgust that the film was made in English, with no reference to the language of the area. People thought the protestors were mad and wild, and that Joe O Neachtain should have had more sense. Yet some 20 years later at a reception in the same place Michael D Higgins launched Teilifis na Gaeilge. Sensing that a significent struggle was taking shape, Fennell believed that a symbol was required that would link our cultural heritage to the future. He selected a magnificent project. The holiest place in Cárna parish is Macdara’s Island. St Macdara is venerated along the Connemara coast. He is the patron of local fishermen. There is a tradition that sail-boats dip their sails as they pass the island, in recognition of Macdara’s perpetual vigilance. On the island is a 12th century church built in his honour. Every year, on July 16, there is a pilgrimage to the island followed by a festival on the mainland. The church was a virtual ruin in the early 1970s, and had been for centuries. Fennell wrote to the National Monuments Commission asking them to restore the church. Its director Percy Le Clerc came to Cárna, was introduced to the parish council, taken out to the island, where he expressed his delight that despite its collapsed roof, it was salvable. 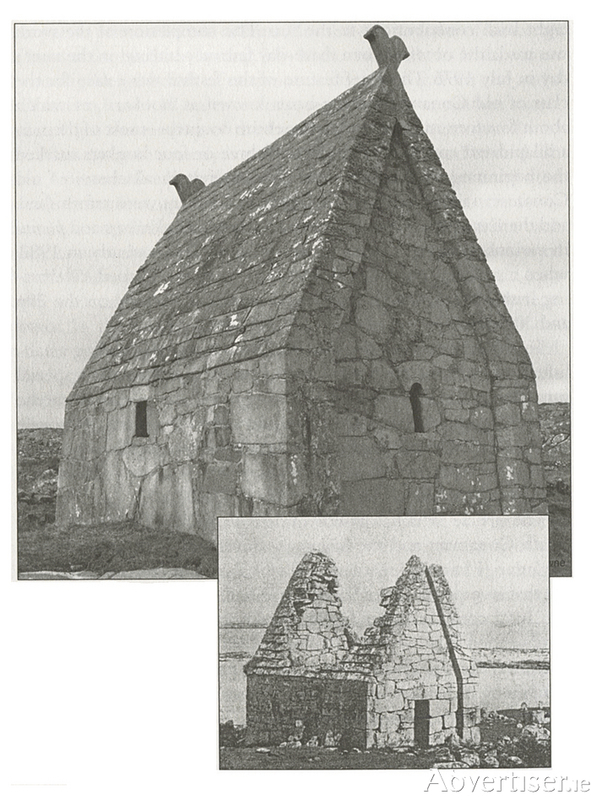 Restoring Macdara’s church became a national story, and one of eight major Irish contributions to the European Architectural Heritage Year 1976. The restoration was completed that same year in time for the saint’s day in July. The project caught the imagination of costal communities. The chief feature of the festival that year was to revival of the old black-sailed ‘hookers’ of which at the time only 14 survived in the country, most of them in a dilapidated condition. Four of these proud old boats featured in a race that day which won national and international press coverage. In 1982 a postal stamp was issued to commemorate the restoration. Two good examples that what was once a ruin and forgotten, was now restored to huge community satisfaction. How this panned out I will try and tell you next week. NOTES: I am leaning heavily on Desmond Fennell’s autobiography: About Being Normal - My life in abnormal circumstances, published by Somerville press, now on sale €20.